Can Your Plumbing Cause Mold? | Elite Plumbing & Heating, Inc.
No one likes mold in the house. It’s unsightly, and it can damage your home. Mold can grow in humid, hot weather, but you should worry about it at any time. So why is mold bad? When it’s outside, it’s essential. It helps to break down nature’s garbage like broken branches, leaves, and other organic material. It’s nature’s cleanup crew. However, when it’s in your home, it turns into a big problem. Mainly because It’s toxic and can damage your house. One way you can stop mold is to look at the plumbing. Since moisture can cause mold to grow, moisture can stay around your pipes and plumbing even when they’re not being used. Mold starts out invisible. The spores are invisible to your eyes and can float around without you noticing. When they contact a damp surface, it can reproduce and then thrive. That’s where the problem is. Mold can be dangerous to one’s health. Inhaling it can enhance your allergies due to the fact that it creates irritants. You may experience common allergy symptoms such as sneezing, skin rashes, and a runny nose. If you have asthma, this can create an asthma attack. If you have a condition that affects your lungs, it can cause an infection, and you can see why this can be a huge problem. How does mold go into your plumbing? Mold usually appears near plumbing pipes, meaning you can find mold in the basement, in the shower, under your sink, and anywhere you have pipes. Leaky pipes can create the mold, so getting your plumbing checked frequently can help ensure that you don’t have any start of mold growth. 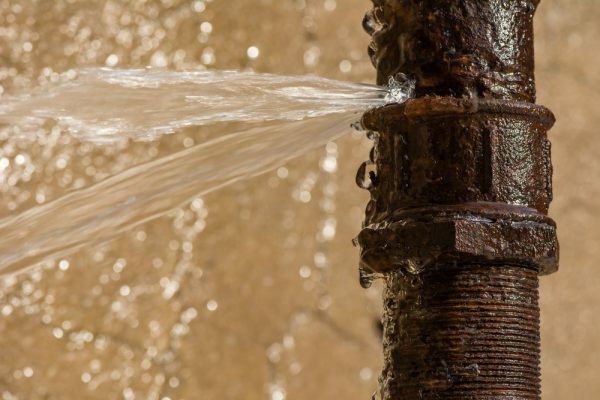 Look for leaks frequently, and if you see a leak dry the area and fix immediately. If there is water damage, dry the area as soon as you can. As moisture builds up, mold can be created as well. When the weather is humid, an AC or a dehumidifier can help reduce the moisture in the air. Do not put carpets in the bathroom or in a basement. This can make the carpets damp and be a breeding ground for mold. When you shower, use the bathroom fan to get the moisture out the room. You can do this by yourself, but don’t feel like you have to handle the problem on your own. If you have any questions about how mold can be affected by your plumbing – call us today at 781-438-2997 or on our website. If you don’t want to take the risk, ask a professional for help. Elite Plumbing & Heating can help you by finding leaks that are unnoticeable and mold spots you may not have noticed. If there is a mold problem, they will remove it promptly in a way that gets it out and is no longer your problem.